Leukos (white) and aima (blood), both of which are originated from the Greek, combine together and make the word “Leukemia”—the cancer of the blood or bone marrow. Someone who has leukemia will have an unusual production of blood cells, mostly leukocytes,also called white blood cells. Your body fights infection with the help of white blood cells. Oxygen is carried to all parts of your body by red blood cells. Your blood clots are assisted by platelets. When you get leukemia, the bone marrow begins to make a lot of white blood cells,more known as leukemia cells,which are abnormal. They don’t do the work that normal white blood cells do. Compared to normal blood cells, they grow too fast, and they won’t stop growing even when they should. Leukemia cells gradually will crowd the normal blood cells out. This could lead to problems which are serious, like bleeding, anemia and infections. Leukemia cells may also spread to other organs such as lymph nodes and cause pain or swelling. There are many different kinds of leukemia. Generally speaking, leukemia is grouped by how quickly it worsens and which kind of white blood cell it affects. It can be chronic or acute. Chronic leukemia worsens slowly and might not cause symptoms for years, while acute leukemia progresses quickly and could make you feel sick right away. It can be myelogenous or lymphocytic. Myelogenous leukemia will affect other kinds of cells which normally become granulocytes, platelets or red blood cells. Lymphocytic leukemia will affect your white blood cells called lymphocytes. It is not known by experts what causes leukemia. Your risk can be increased by some things, like being exposed to a big amount of radiation and also being exposed to particular chemicals at work like benzene. With acute leukemia, the abnormal cells could collect in the spinal cord or brain, resulting in vomiting, headaches, loss of muscle control, confusionand seizures. Leukemia cells might collect in the testicles as well, causing swelling. Or, patients may develop sores on skin or in eyes. It can also affect the kidney, digestive tract, or other areas of the body. With chronic leukemia, the abnormal cells could slowly collect in different parts of the body. Chronic leukemia could affect the central nervous system, skin, kidneys, digestive tract and testicles. Get an appointment with your doctor if you have any symptoms or signs that are persistent and are worrying you. Most of the time, symptoms of leukemia are not specific. You might overlook the early symptoms of leukemia since they could resemble symptoms of flu or many other common illnesses. There are various factors that can increase your risk of developing some kind of leukemia. But most people with known risk factors, however, don’t get leukemia, and many people who do have leukemia don’t have any of these risk factors. So, don’t panic just because you may have one or more risk factors listed below. 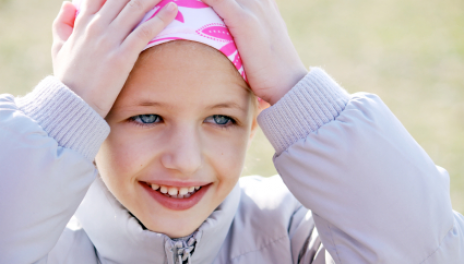 There seems to be a role in genetic abnormalities when it comes to developing leukemia. Particular genetic disorders like Down syndrome are known to cause an increased risk of leukemia. If you have family members who have been diagnosed with leukemia, then your risk of getting one could be increased. Anyone who has already gone through particular kinds of radiation therapy and chemotherapy for other cancers could have an increased risk of developing certain kinds of leukemia. Exposure to particular chemicals, like benzene that is found in gasoline and used by the chemical industry, is linked to increased risks of some forms of leukemia as well. Anyone exposed to levels of radiation that are very high, like survivors of a nuclear reactor accident, has a risk that is increased in developing leukemia. Smoking cigarettes can increase the risk of acute myelogenous leukemia. In a chemotherapy, drugs are used to kill cancer cells or stop them from dividing. It can be administered in several ways, among whichtaking pills or IV infusion is more common. The type of chemotherapy you will receive depends on the stage and the kind of cancer. Radiation therapy is the use of particular kinds of energy to shrink tumors and kill cancer cells. The energy can be waves or particles, like electrons or protons, gamma rays and x-rays. In a biologic therapy,substances made in a laboratory or by the body are used to direct, boost or restore the body’s natural defense against the cancer to shut down its division. Surgically removing the spleen is a treatment as well for chronic leukemia. The surgerywill collectleukemia cells, and as they do, it causes the spleen to enlarge, which can cause many complications. A hematopoietic transplant is done to replace normal marrow production which has been destroyed with high doses of radiation or anticancer drugs. It can be done by autologousdonation, in which case your stem cells are saved before treatment. Or, you can accept the stem cells that are donated by somebody else, or theonesthat are donated by your identical twin.